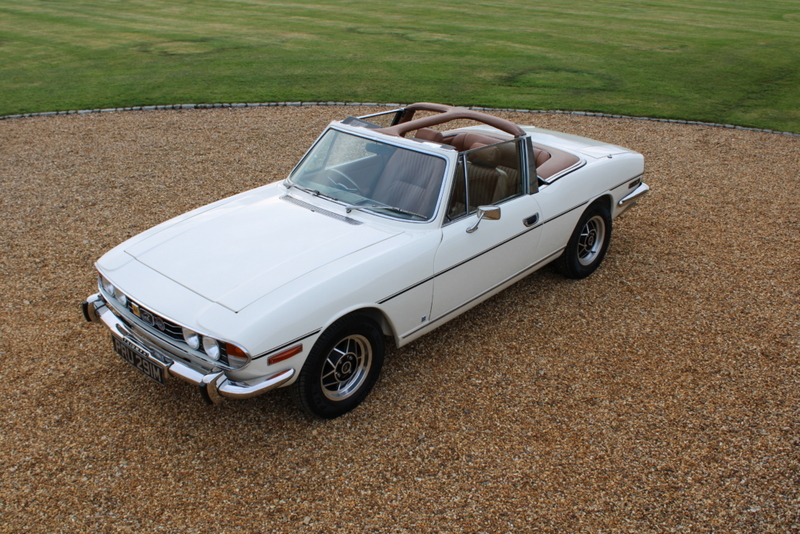 The Stag was yet another groundbreaking British design like many others in history that was executed poorly in construction. 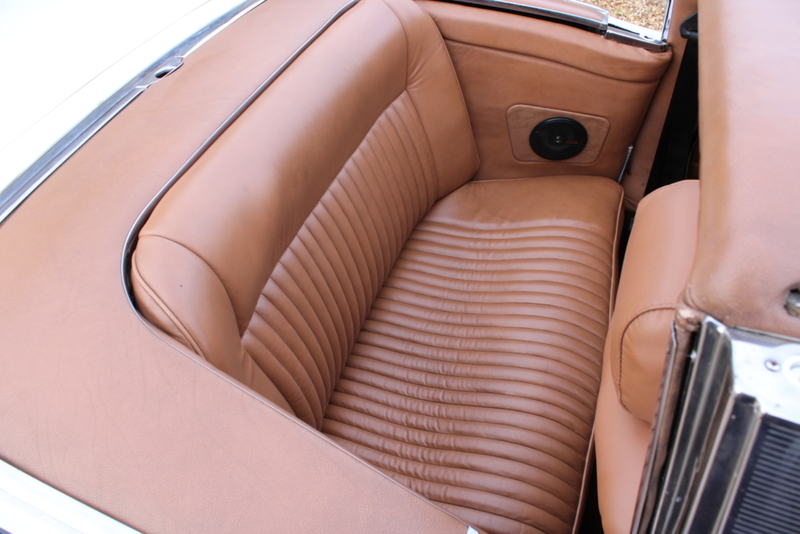 Every car enthusiast knows the story with its pretty design, four seats, a mixture of soft and hard tops and a V8 engine! 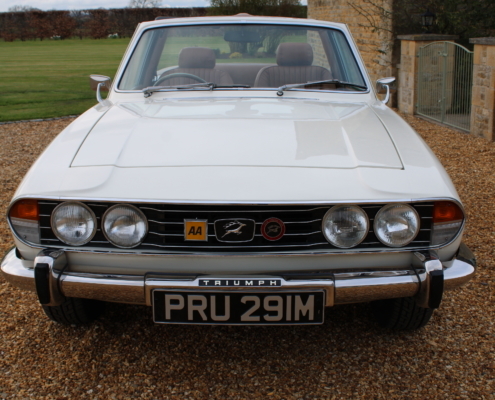 What an amazing proposition it was at launch and much better value than it’s German counterpart the mighty SL. 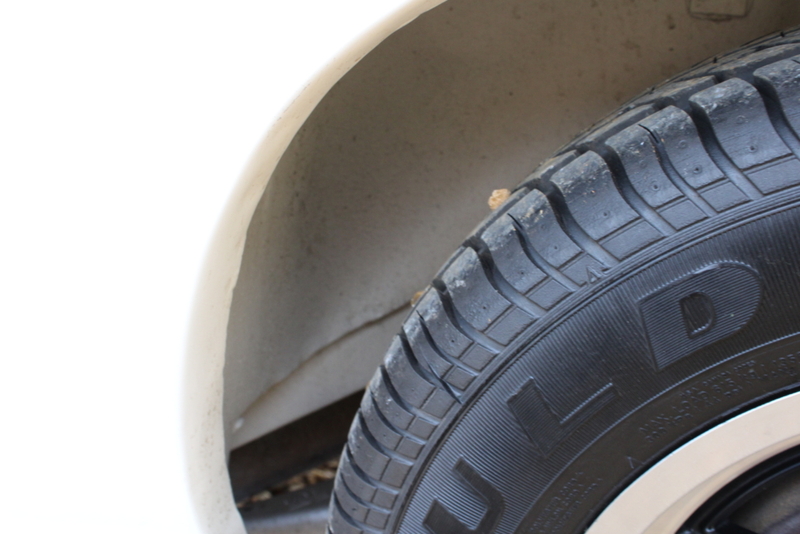 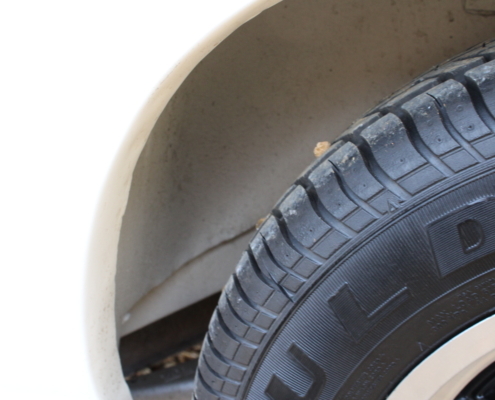 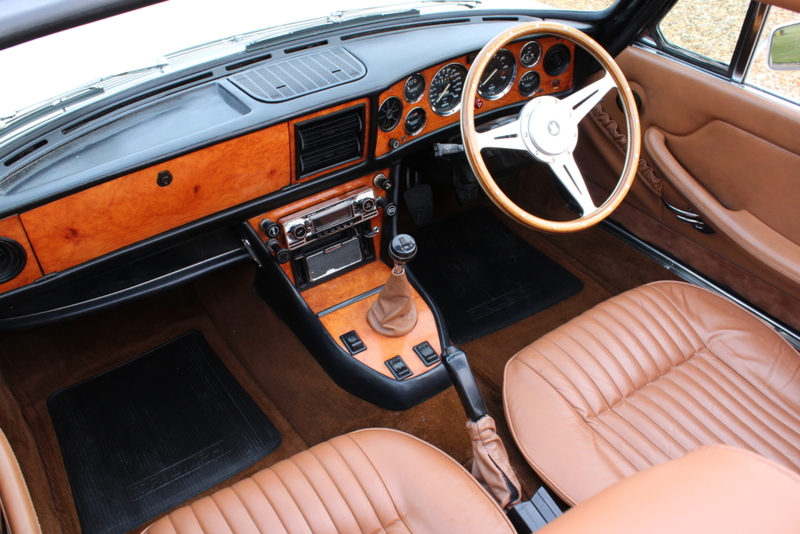 The problems were soon apparent with poor build quality and several design flaws meaning that it soon earned a poor reputation for reliability like many British cars of this period. 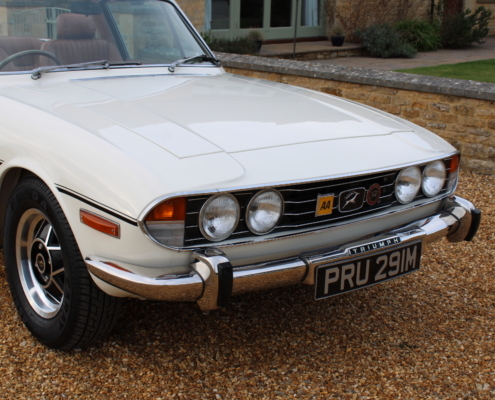 Shame really because it deserved better and was such a supercar to drive as it still is today. 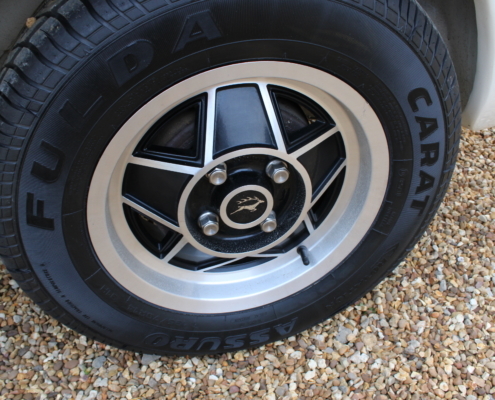 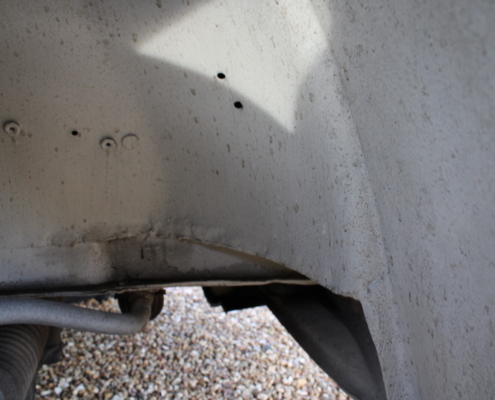 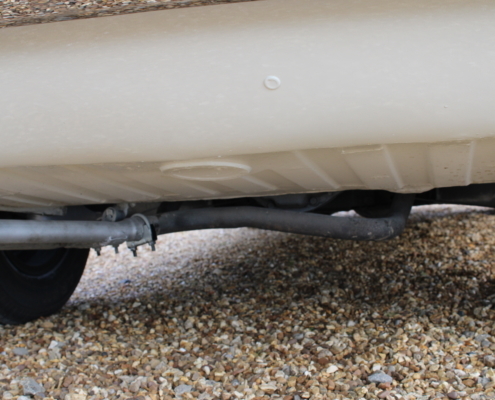 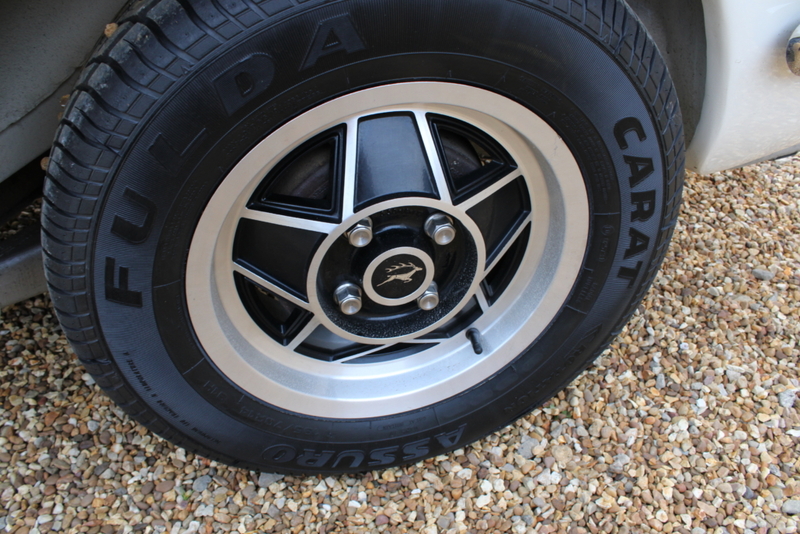 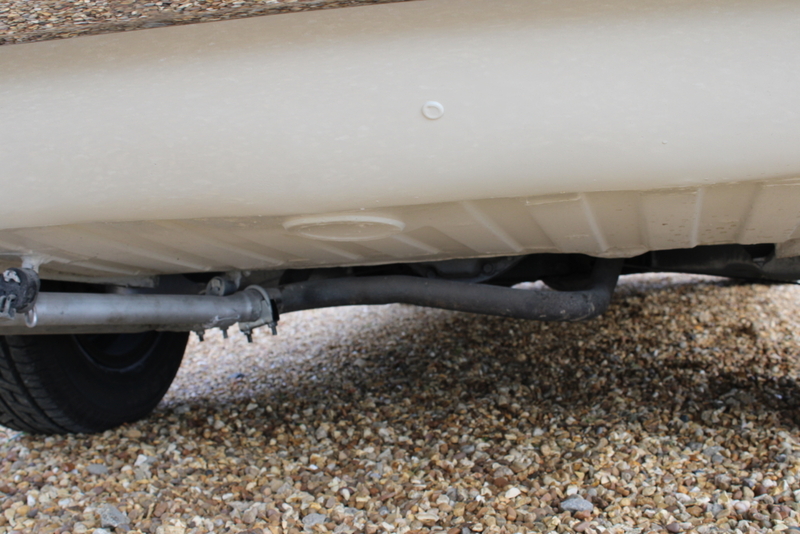 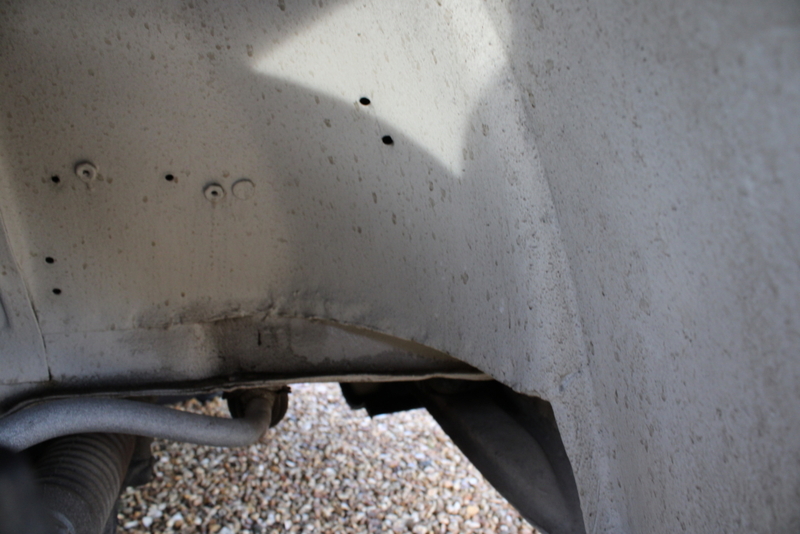 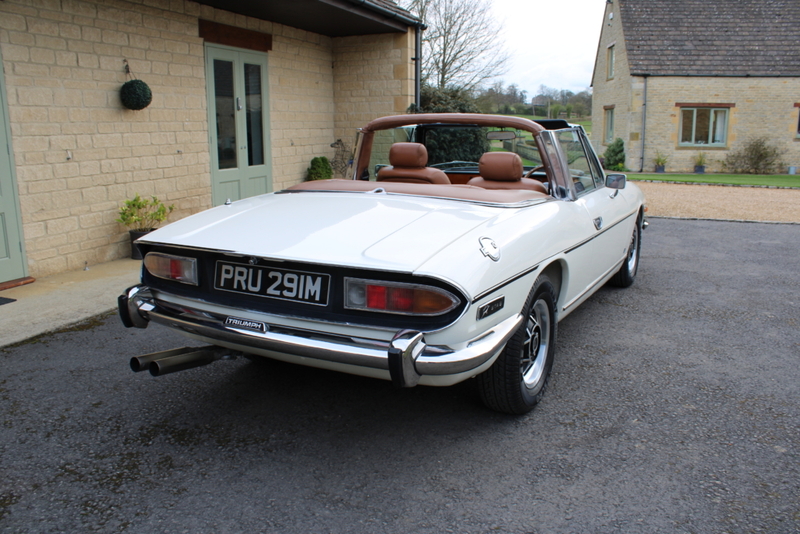 Most of the issues have been ironed out over the past 20 years and Stags are now accepted as a good useable car when the recommended modifications. 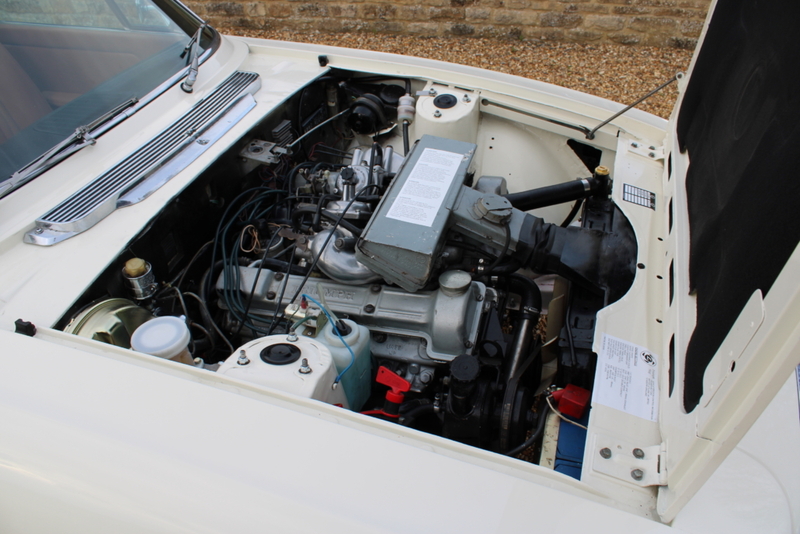 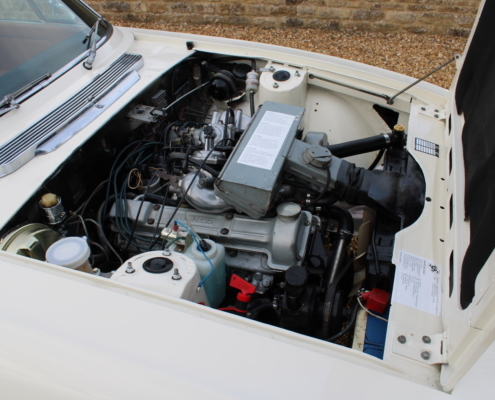 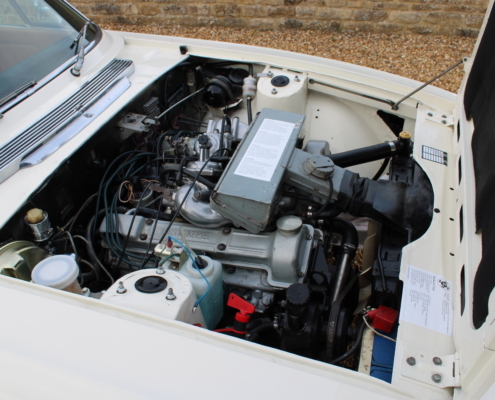 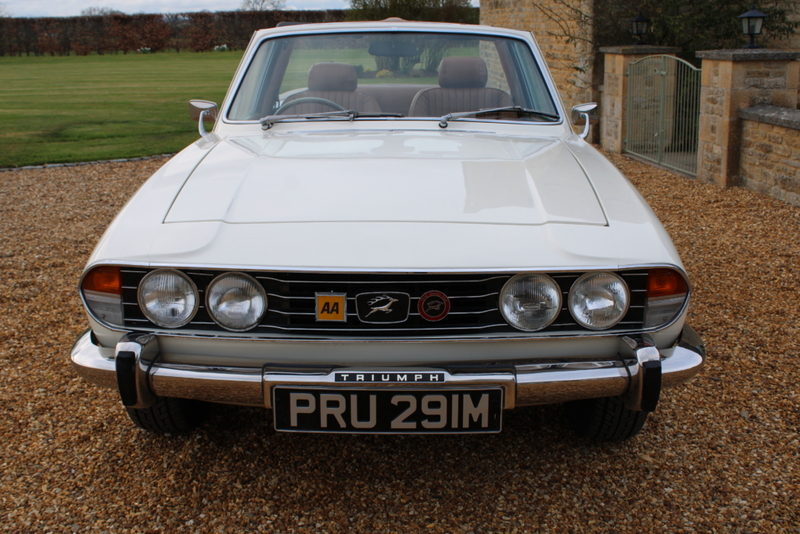 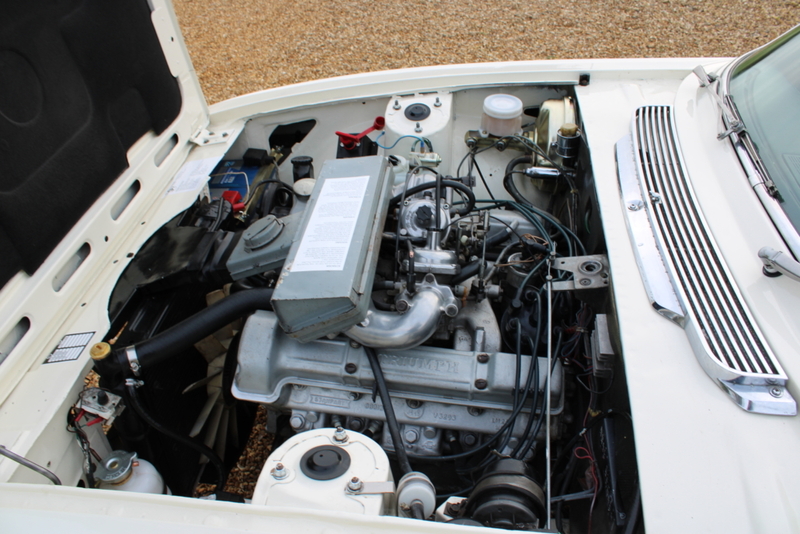 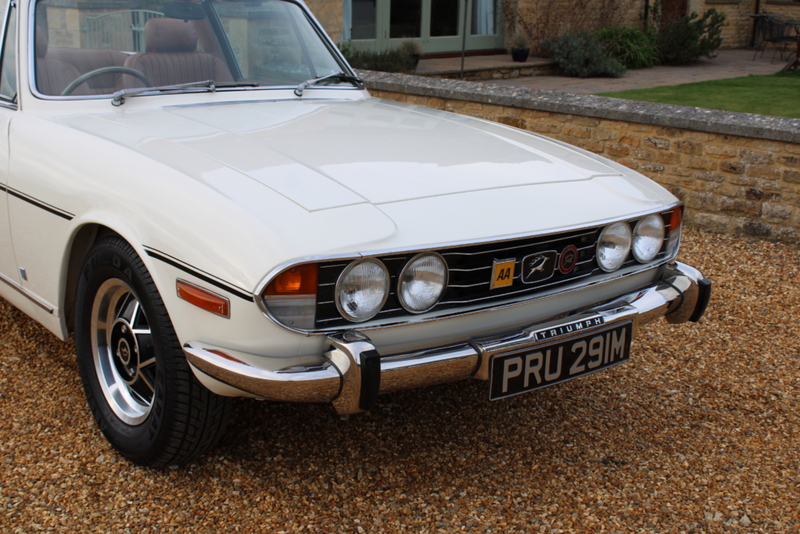 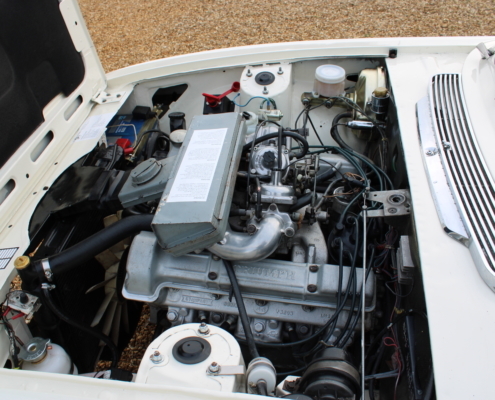 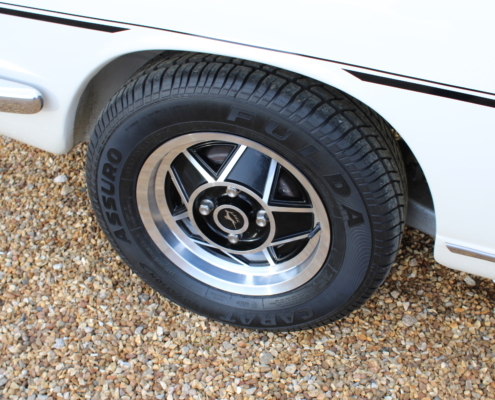 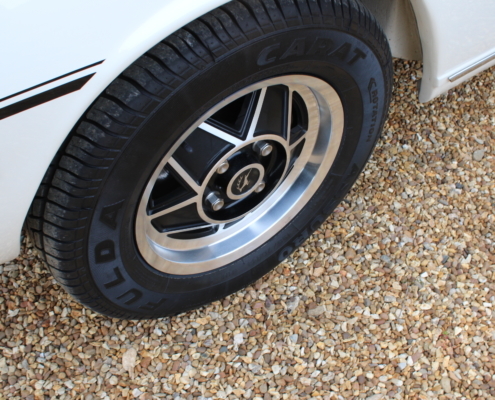 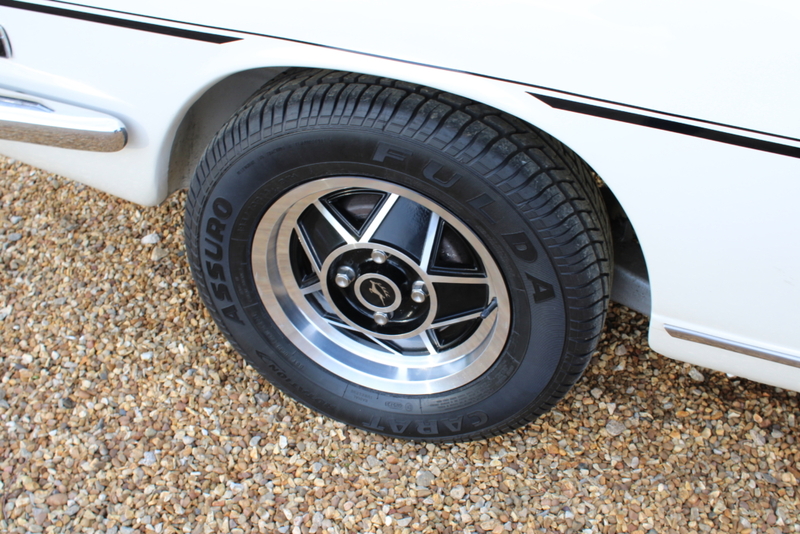 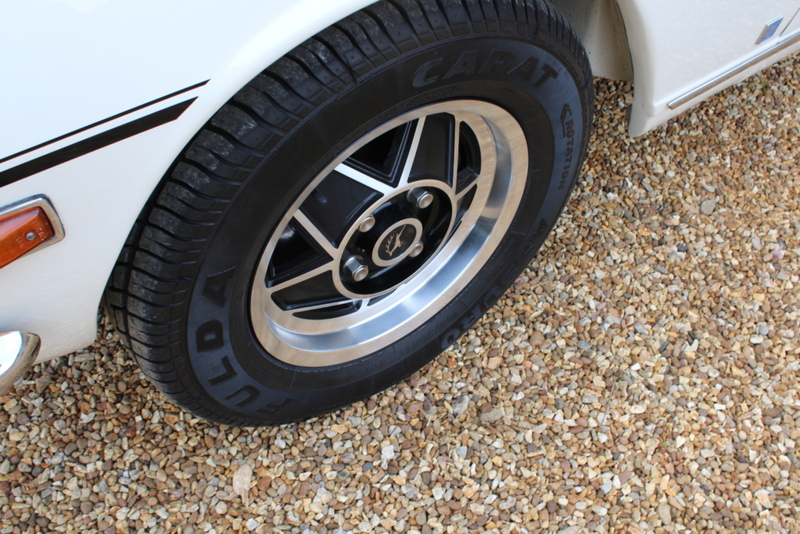 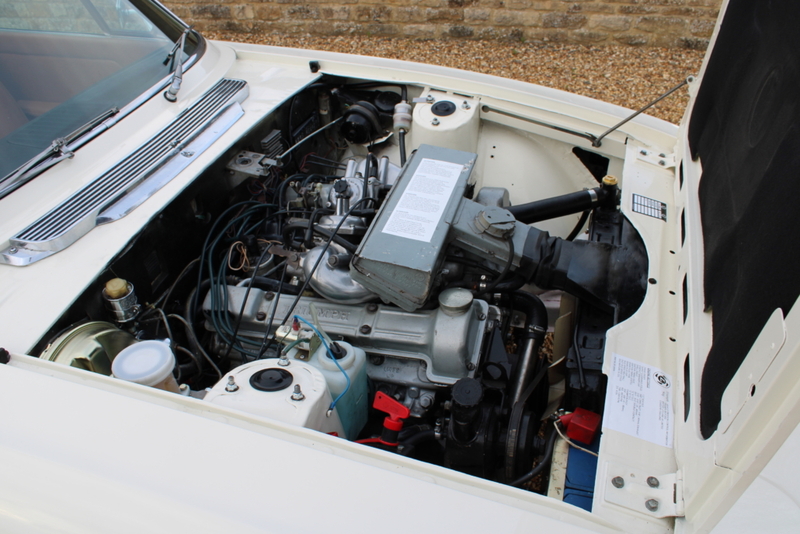 This lovely white example has enjoyed a thorough restoration and £27000 spend within the past few years. 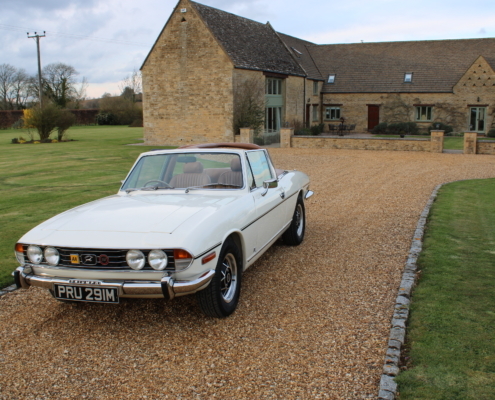 There is a very good history file inc invoices, MOTS etc. 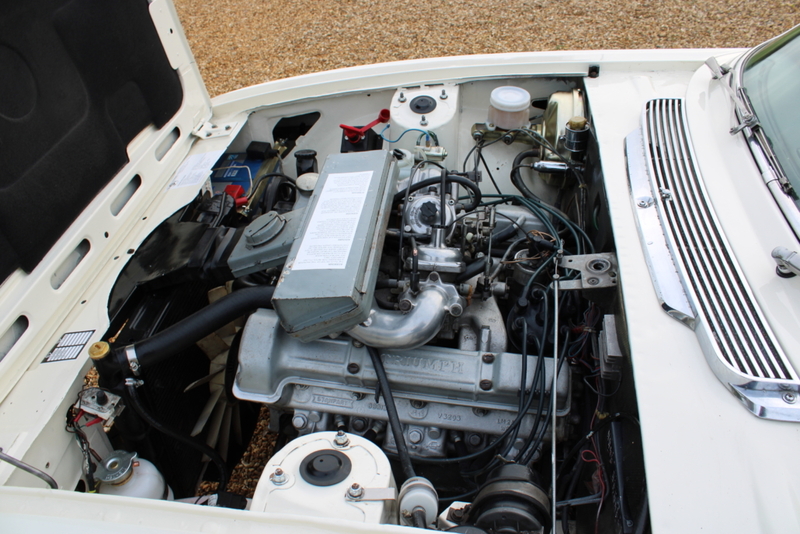 and the work carried out including full engine rebuild by Stag specialist E J Ward, gearbox, axles, brakes, etc. 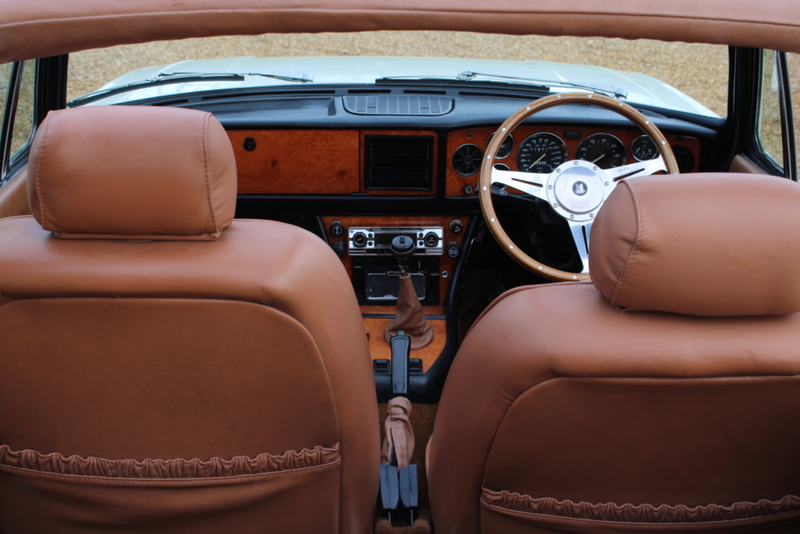 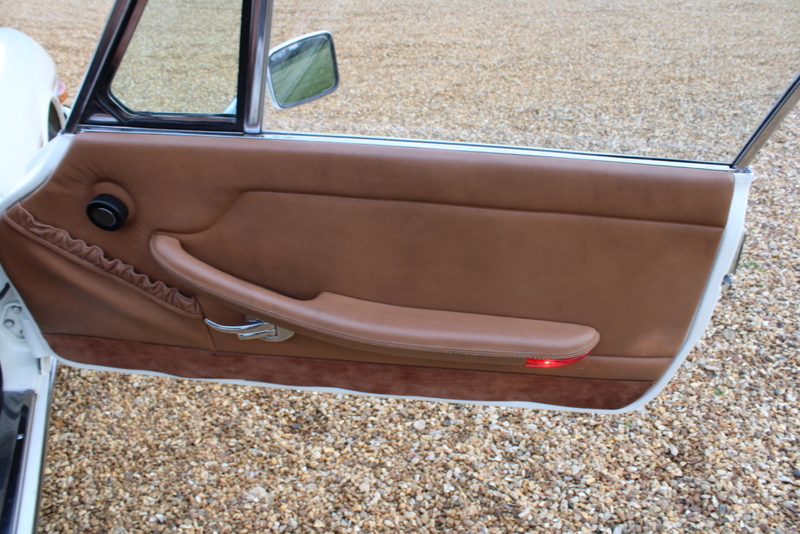 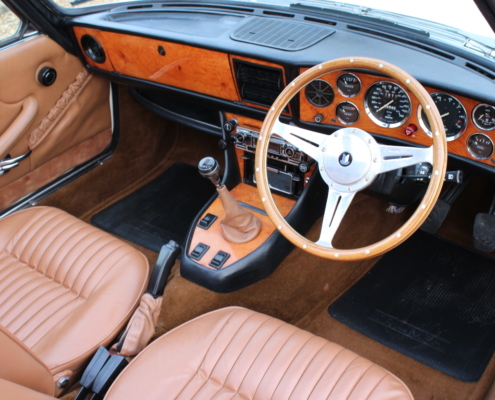 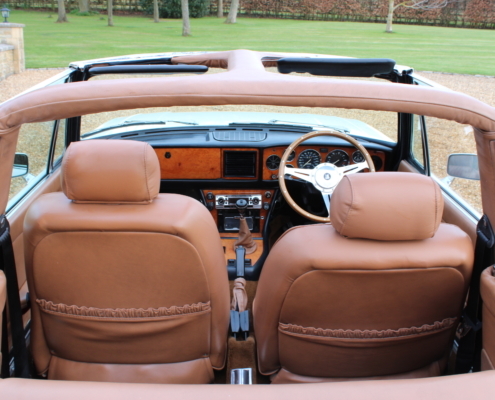 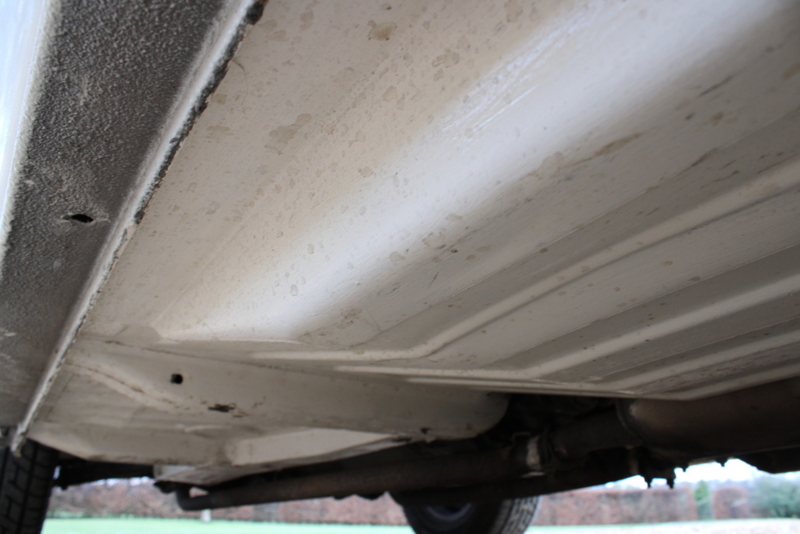 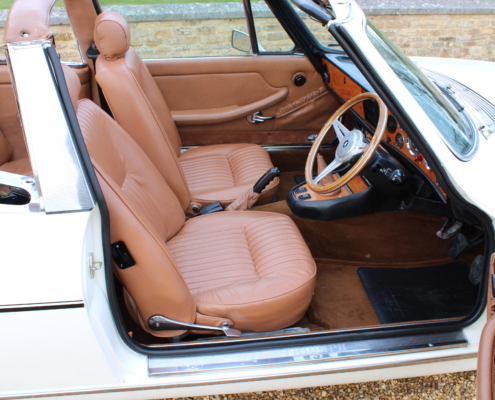 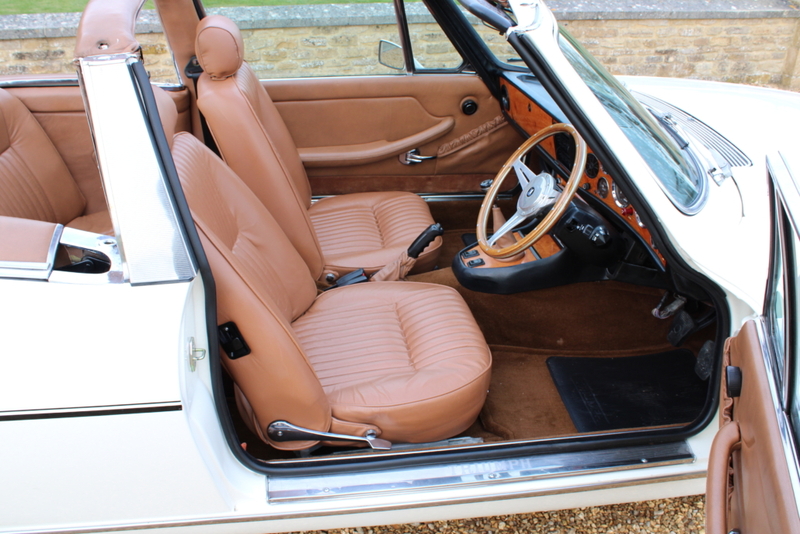 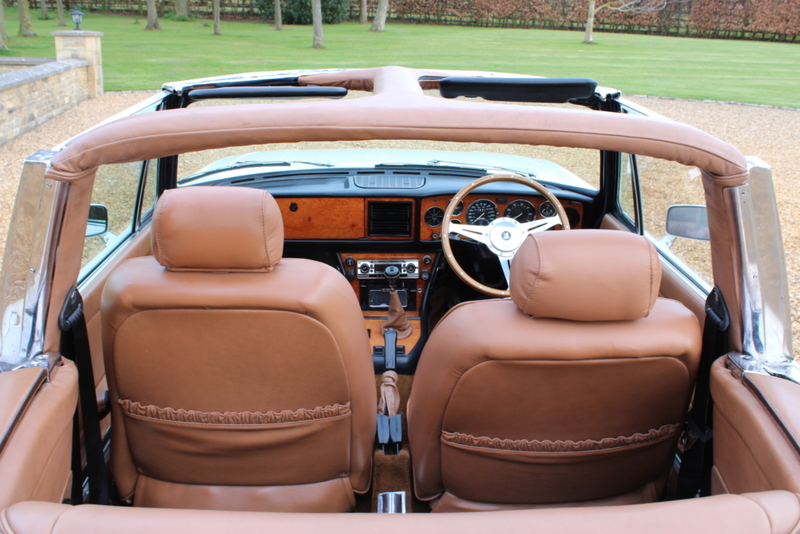 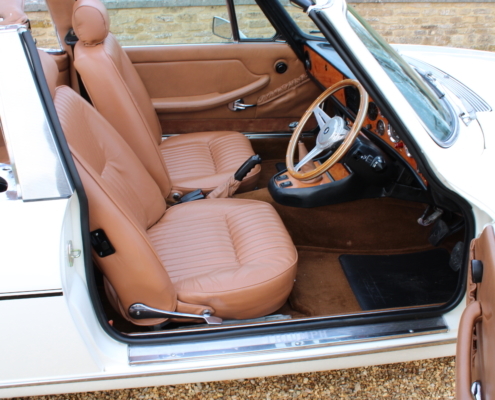 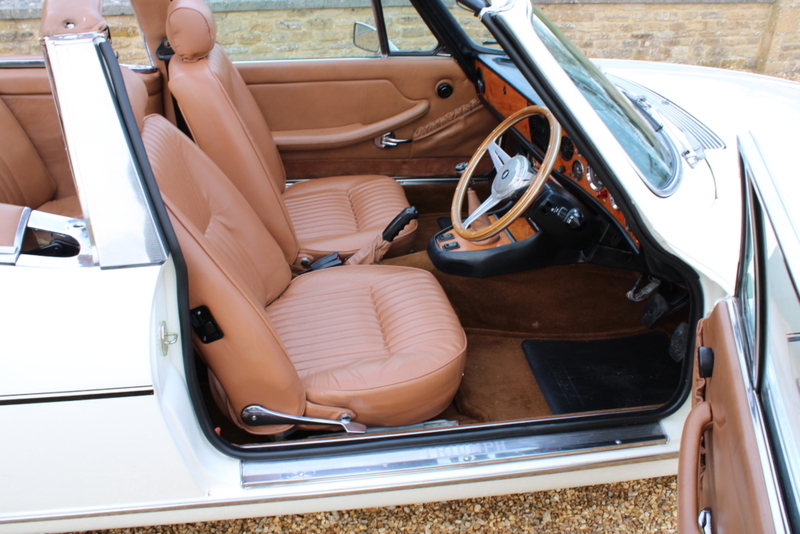 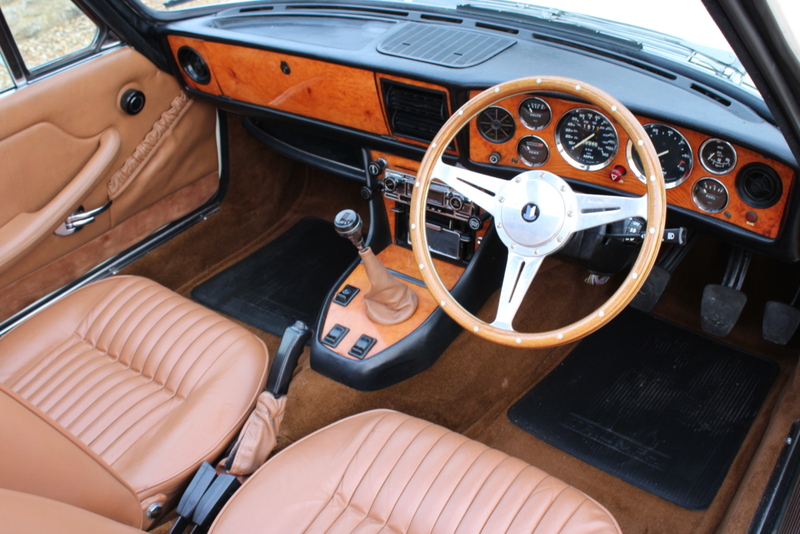 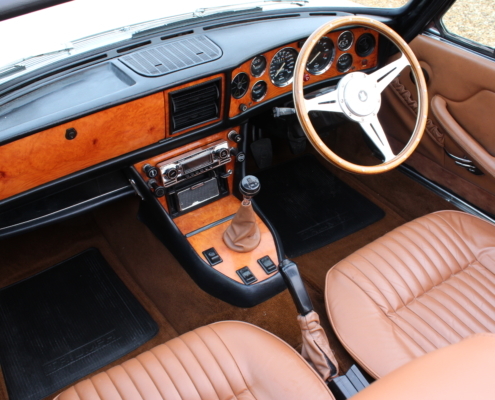 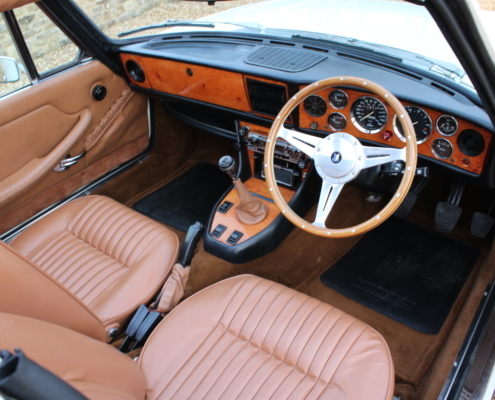 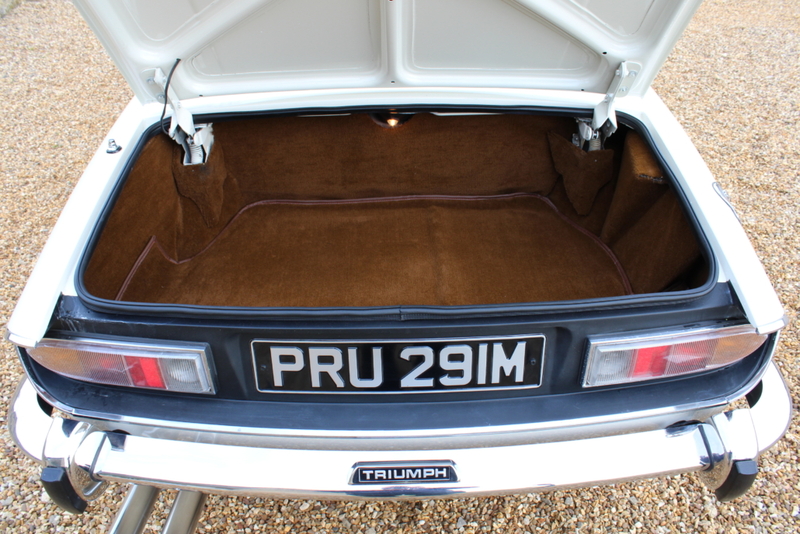 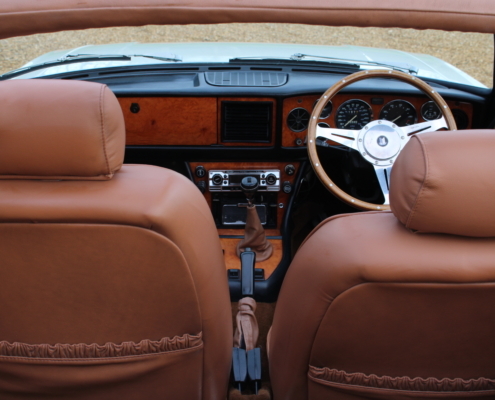 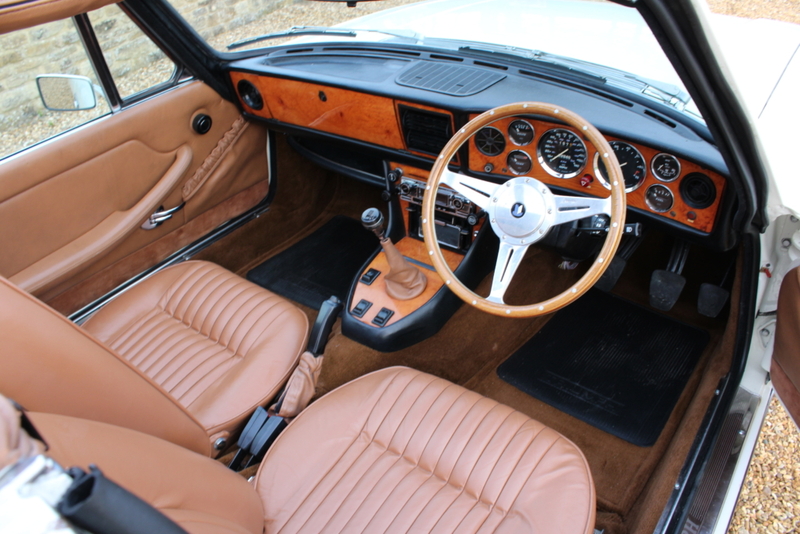 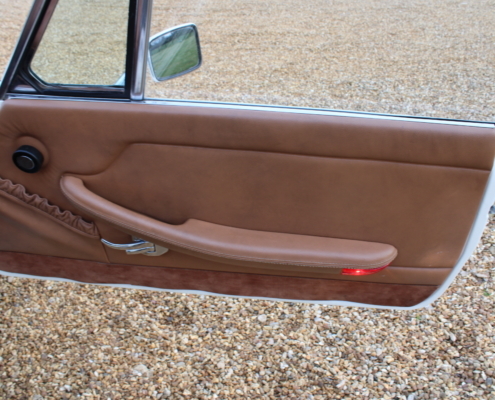 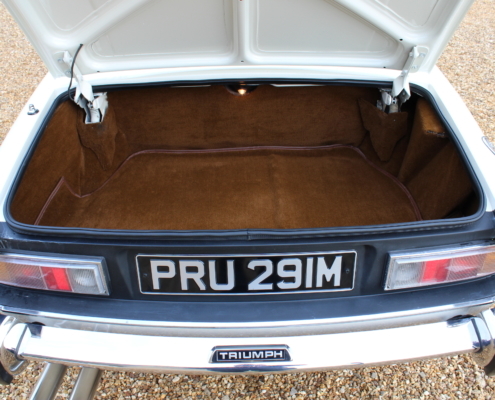 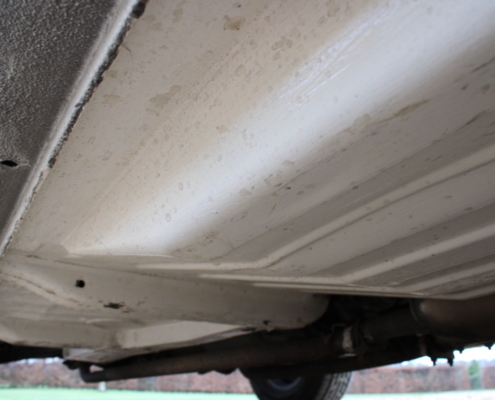 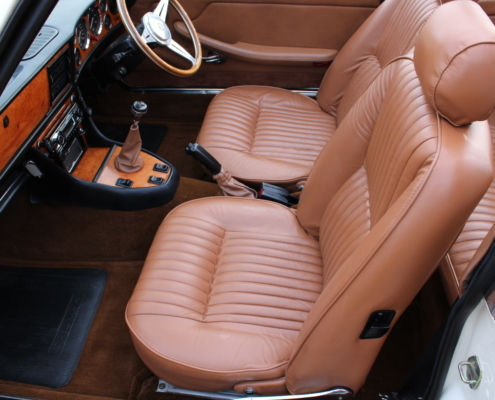 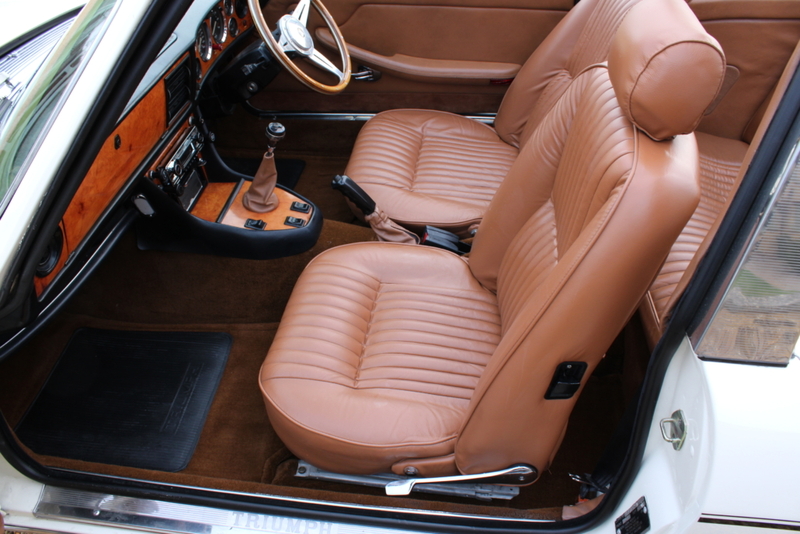 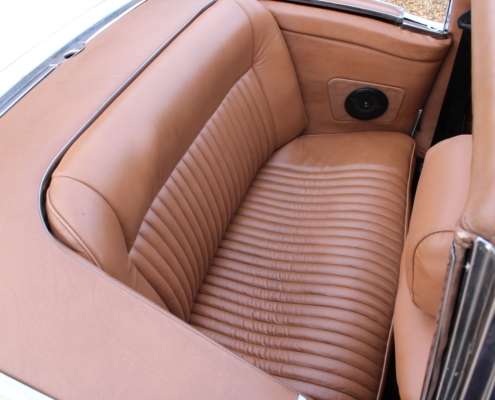 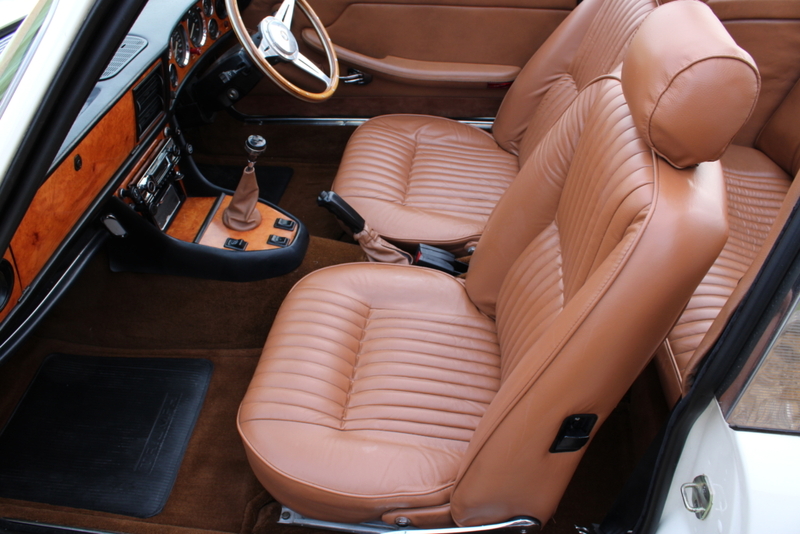 She has the benefit of real leather interior rather than standard vinyl and the paint quality is superb topside and she is fully detailed in white paint underneath also. 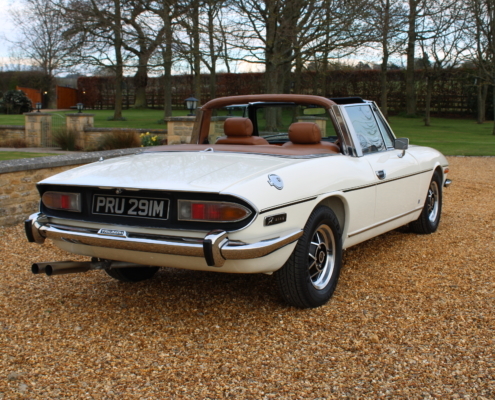 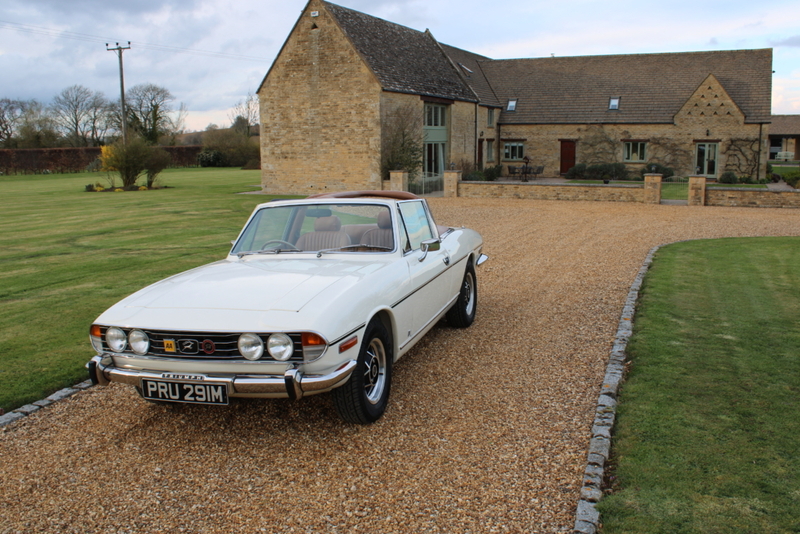 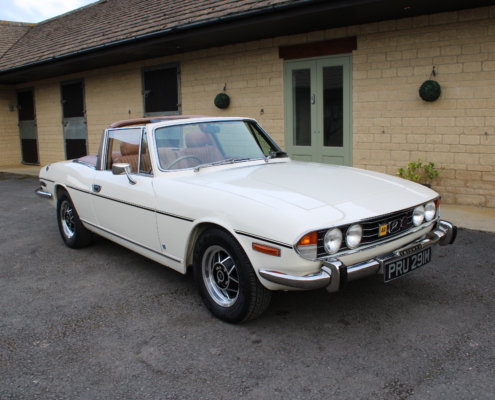 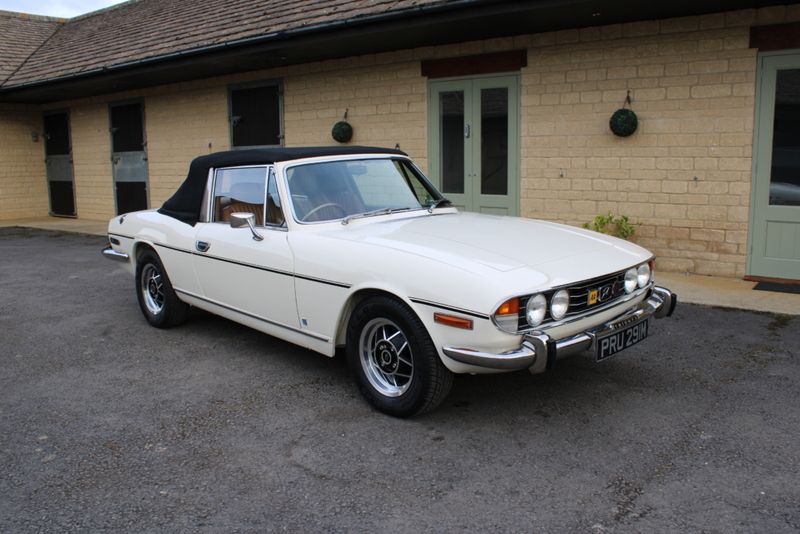 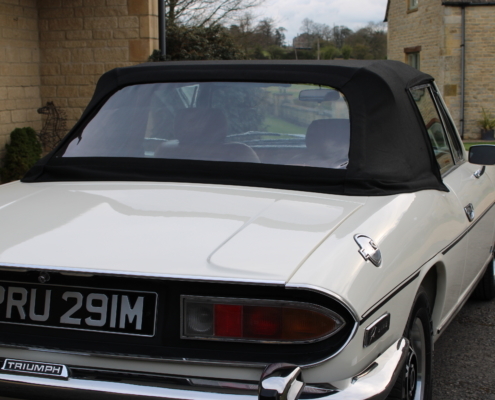 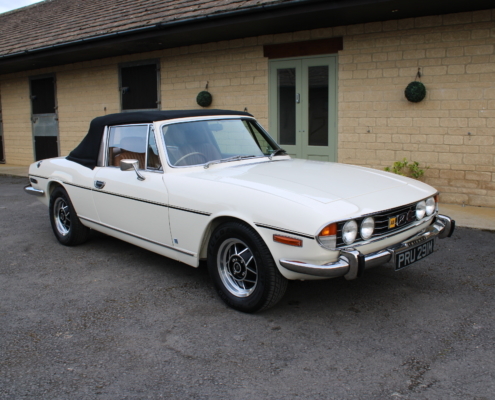 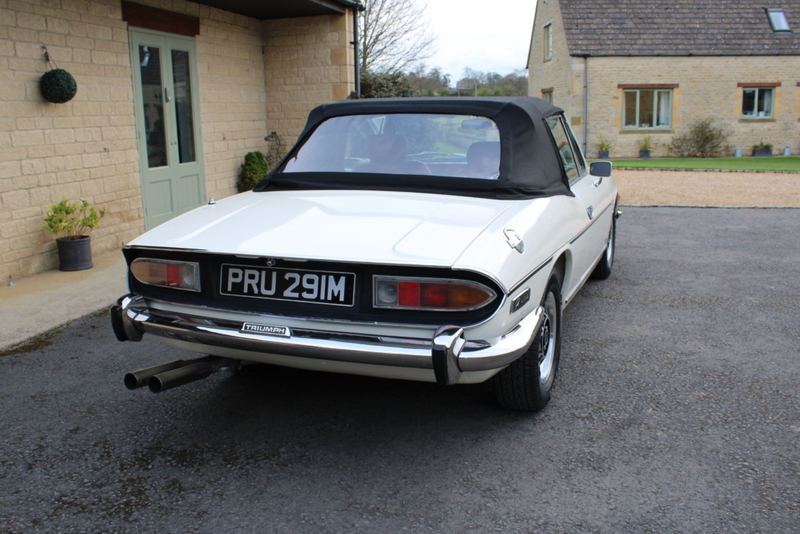 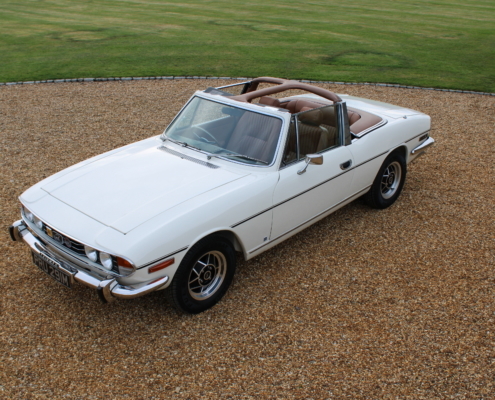 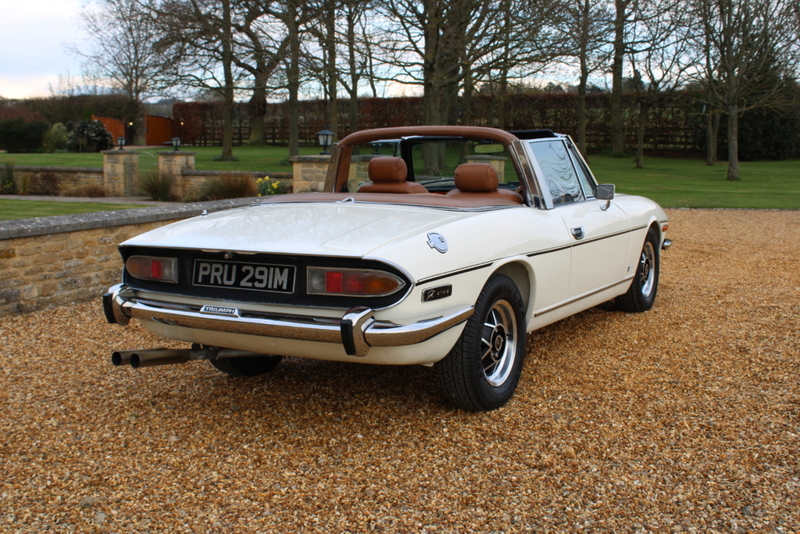 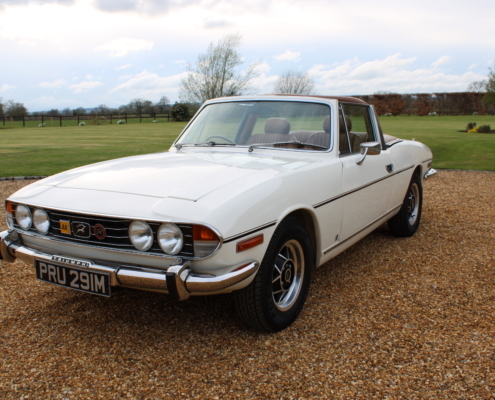 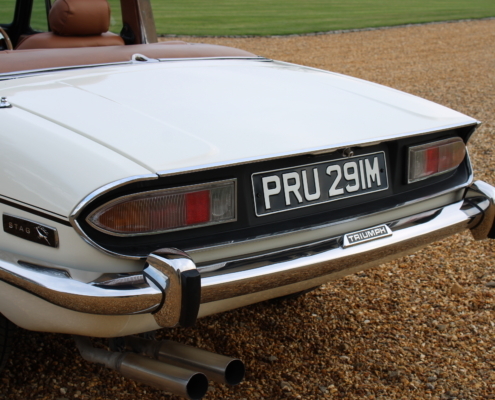 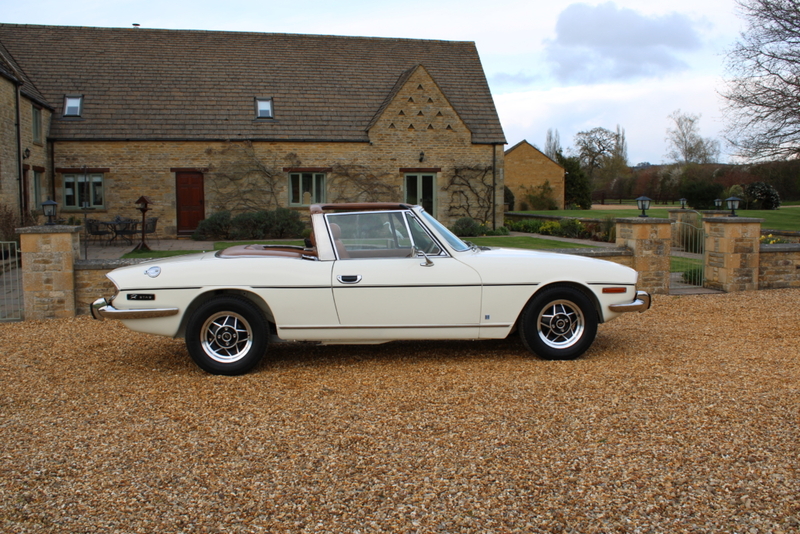 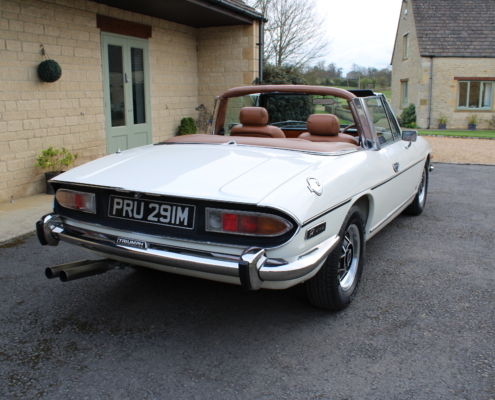 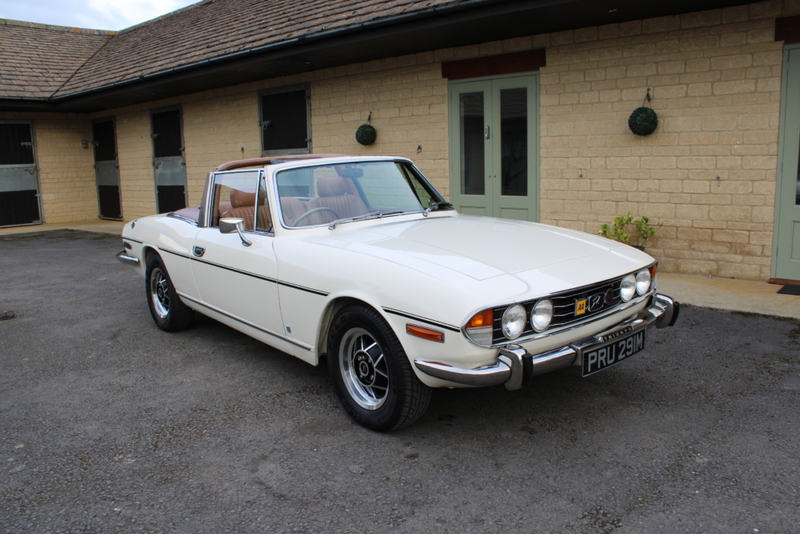 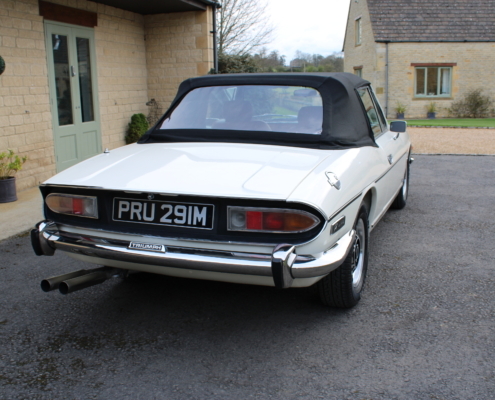 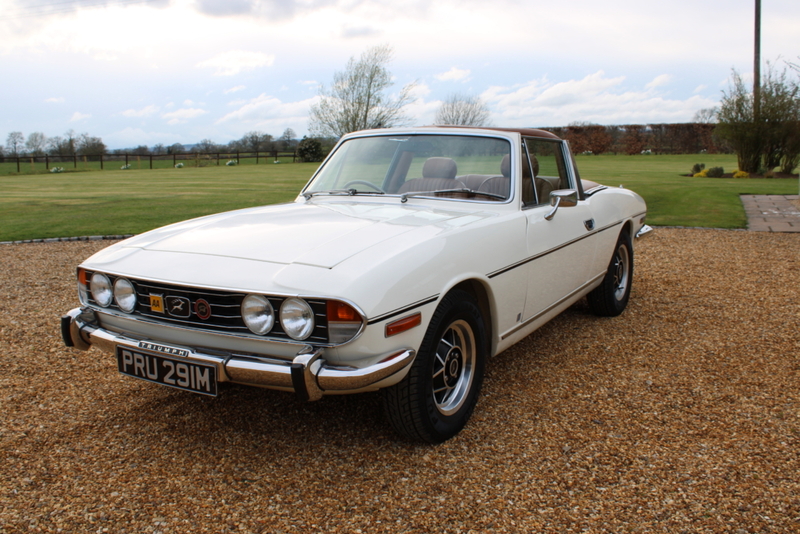 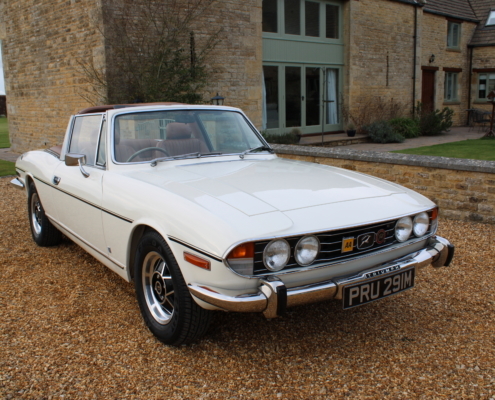 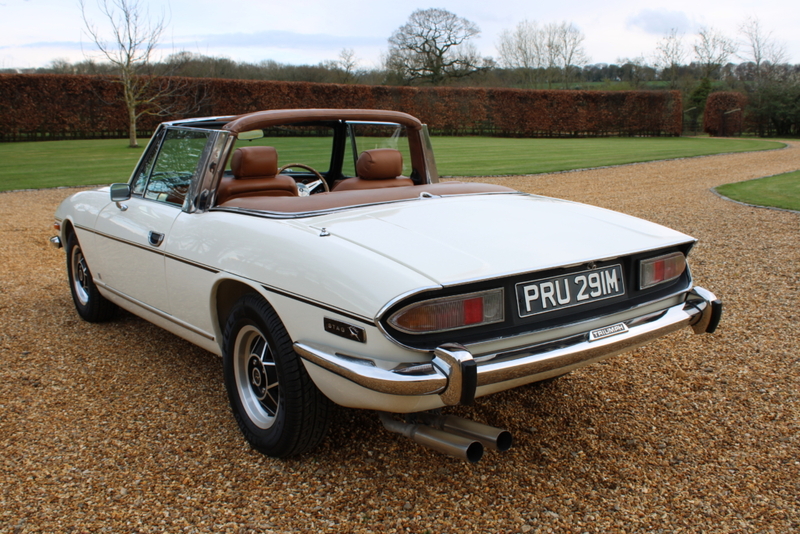 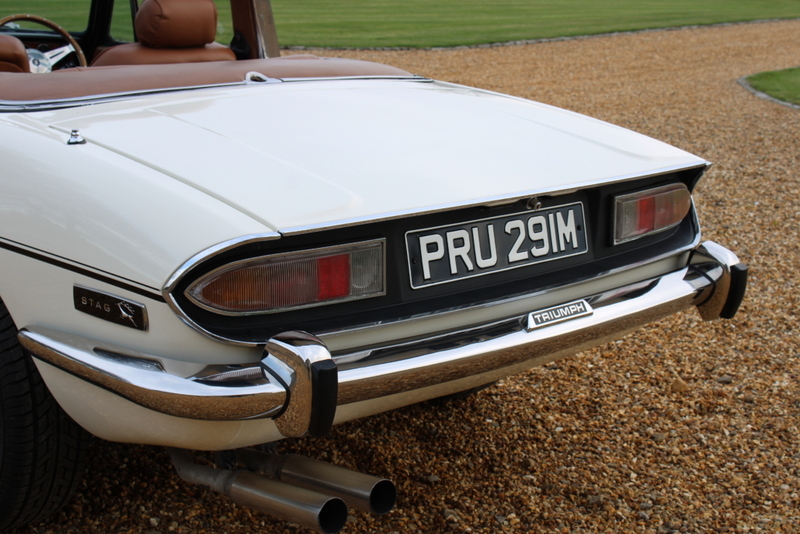 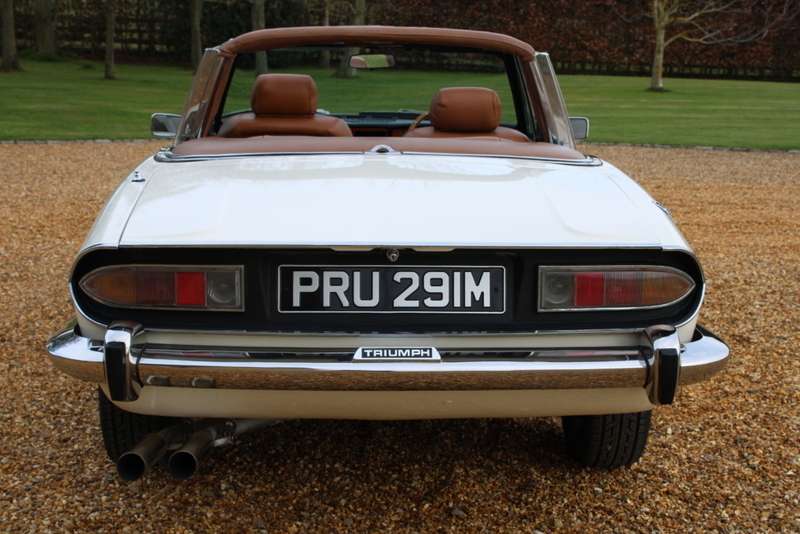 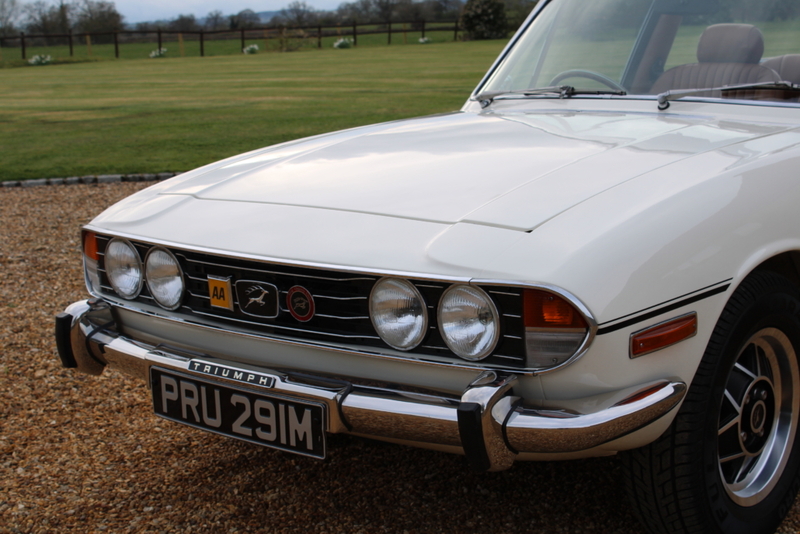 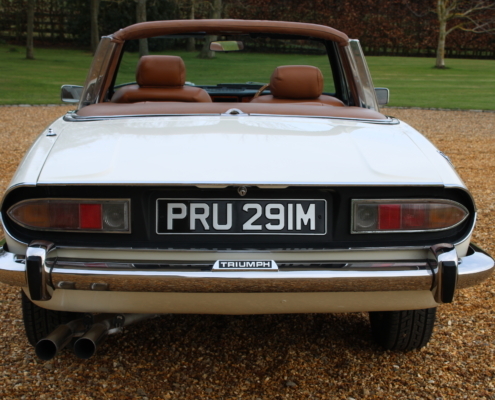 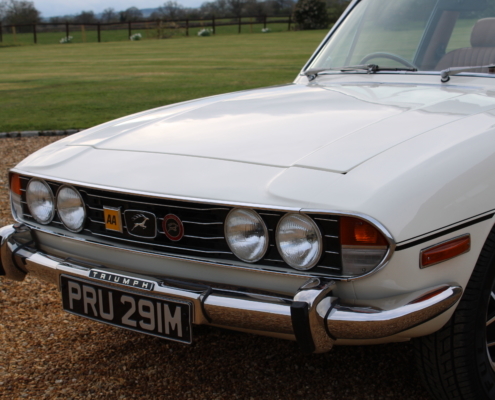 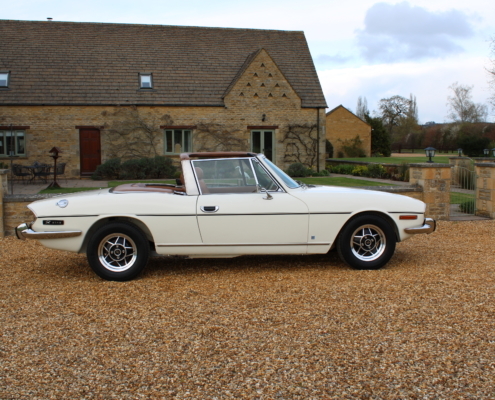 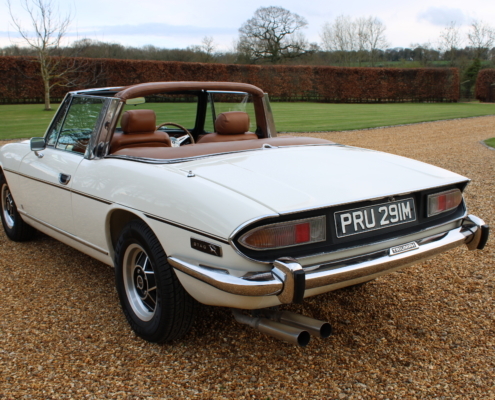 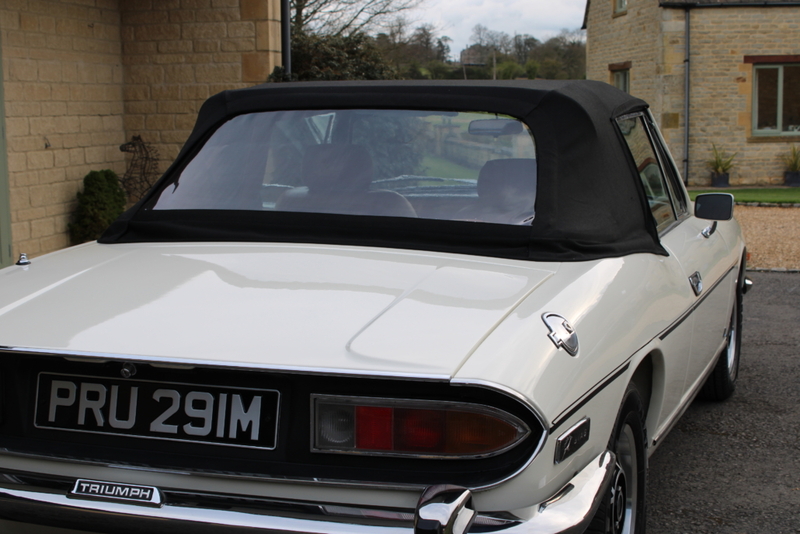 It is well known in the Classic car world that Stags are currently undervalued and on the rise as they offer tremendous fun for 4 adults and are good to drive. 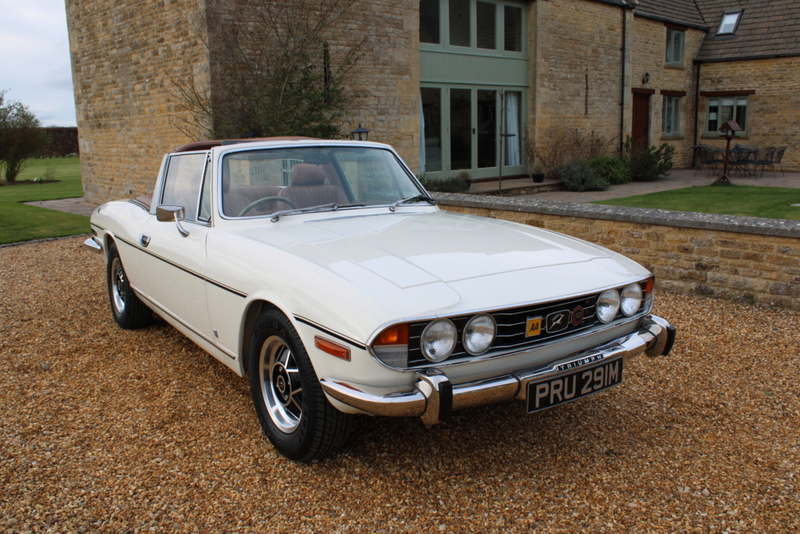 On a hot sunny day with the top off, the burble of the V8 really suits the style of the Stag as wafts along quite sportingly. 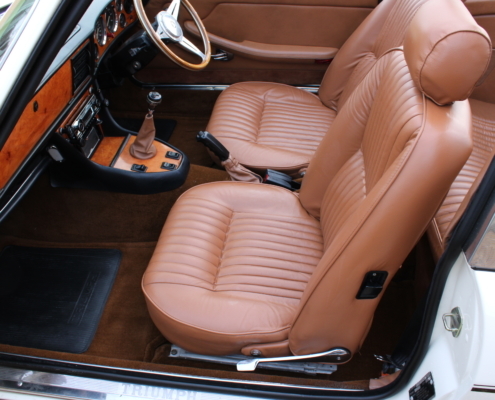 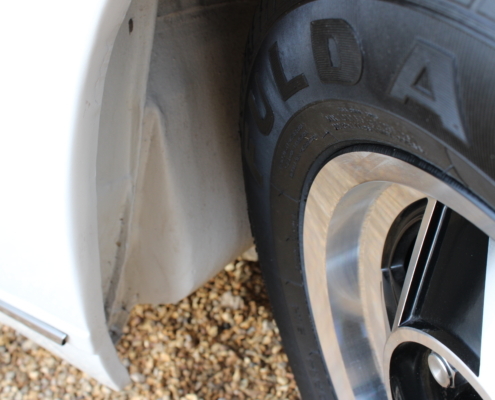 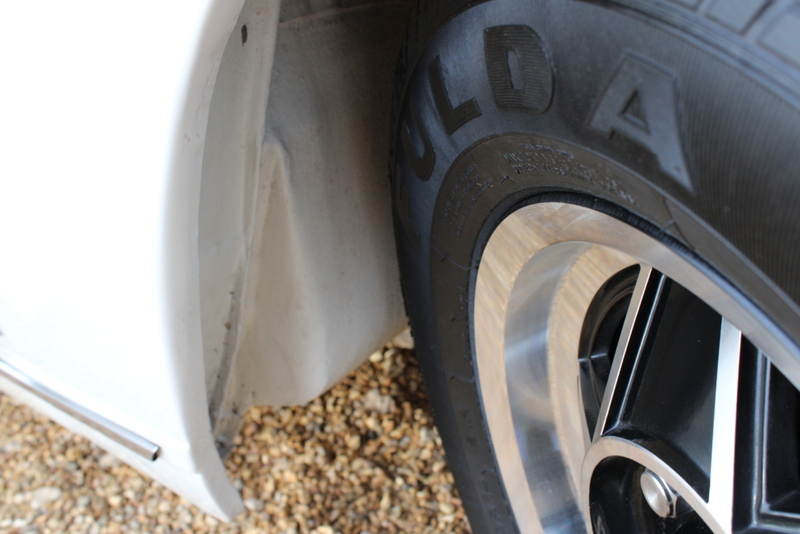 Models with the manual, overdrive gearbox are best and she feels tight and reliable. 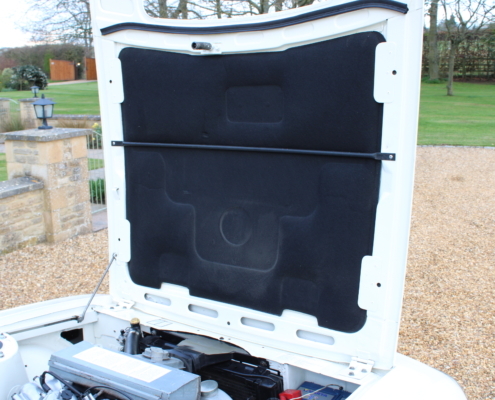 There are cheaper alternatives out there but as always there is a reason why you pay more for the best! 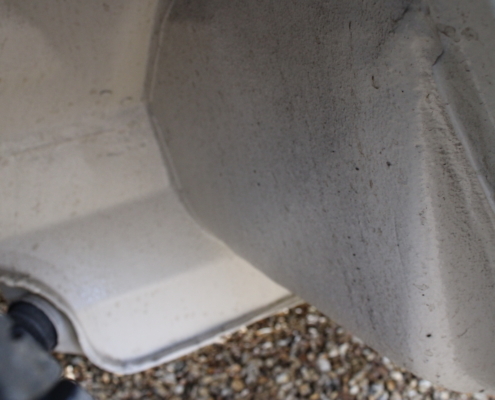 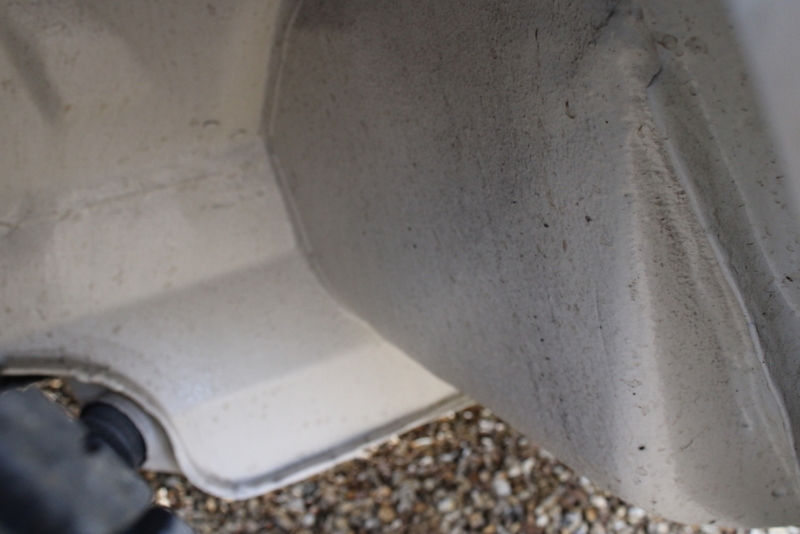 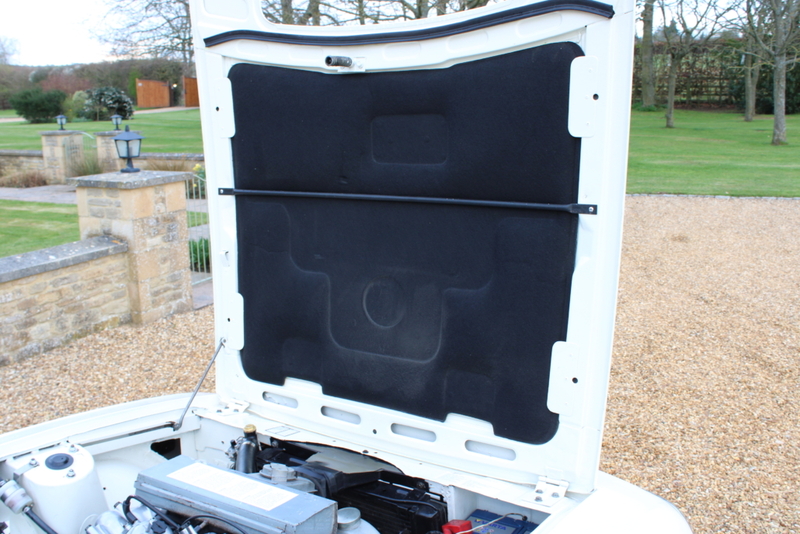 Supplied fully inspected, serviced with a comprehensive 12-month warranty.